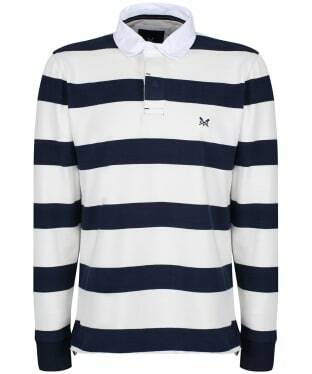 The Men's Crew Clothing Long Sleeve Rugby Shirt is a wardrobe staple for any stylish gentleman. Crafted from 100% cotton for a super soft, comfortable feel, this long sleeved layering piece is perfect for placing under your favourite Crew jacket to complete your on-trend look with ease. Sure to add warmth on those cooler days, this rugby shirt is finished with signature Crew Clothing branding for that added mark of quality. 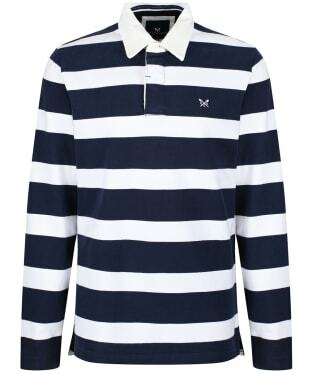 A wardrobe essential for any stylish gentleman, the Men's Crew Clothing Rugby Shirt has been crafted from 100% cotton jersey to offer a comfortable feel making it the ideal choice for everyday wear! 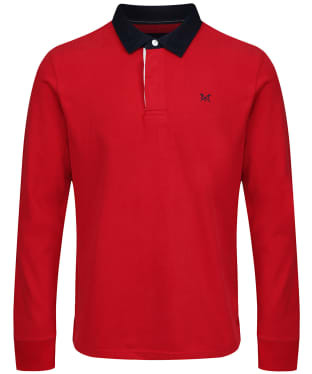 Designed with long sleeves to offer warmth on those cooler days, this Rugby Shirt also has ribbed cuffs for that perfect fit, as well as side vents for ease of movement and an added touch of wearability. 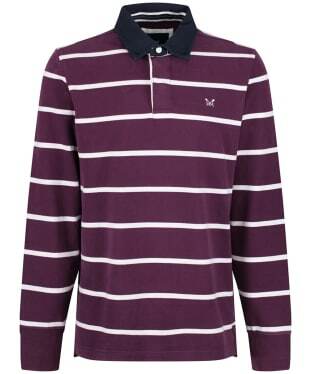 An iconic piece from Crew, the shirt is finished with signature branding for that on-trend, quality feel. 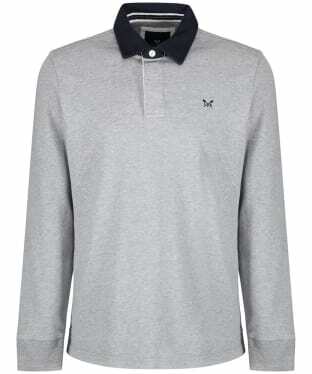 Complete your casual look with ease this season with the Men's Crew Clothing Long Sleeve Rugby Shirt, crafted from 100% cotton off an added touch of comfort and wearability. For an added touch of comfort this shirt has been specially washed to offer a soft finish you are bound to love. For an added touch of stylish detailing this Rugby shirt has been finished with contrasting details and Crew Clothing branding to the chest.